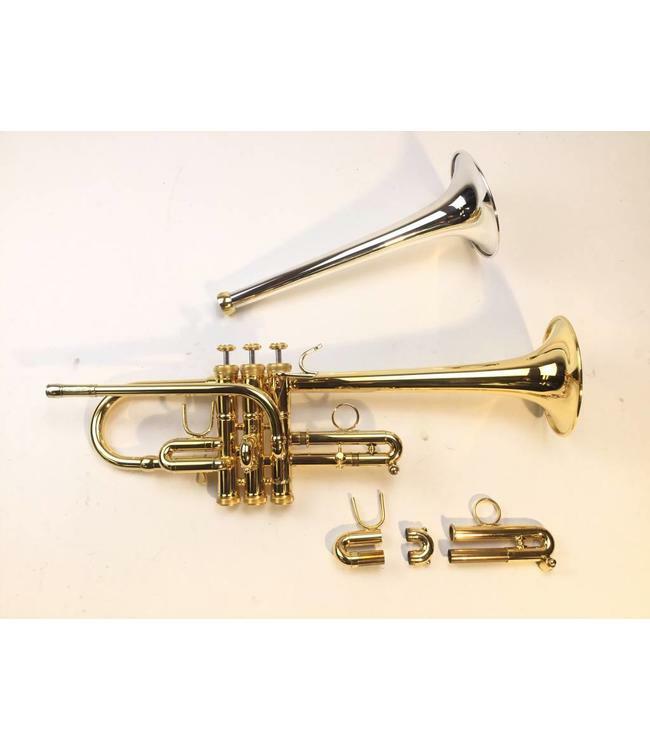 Used Stomvi Master model Eb/D trumpet in gold plate. Instrument includes 2 bell options and both Eb/D slides (slides adjust for key only). Instrument is in excellent condition with little to no visual wear. Includes original case.